Ronnie Drew was a member of Irish traditional band, The Dubliners, but in 1995 he chose to leave the Dubliners, and record a own solo album. 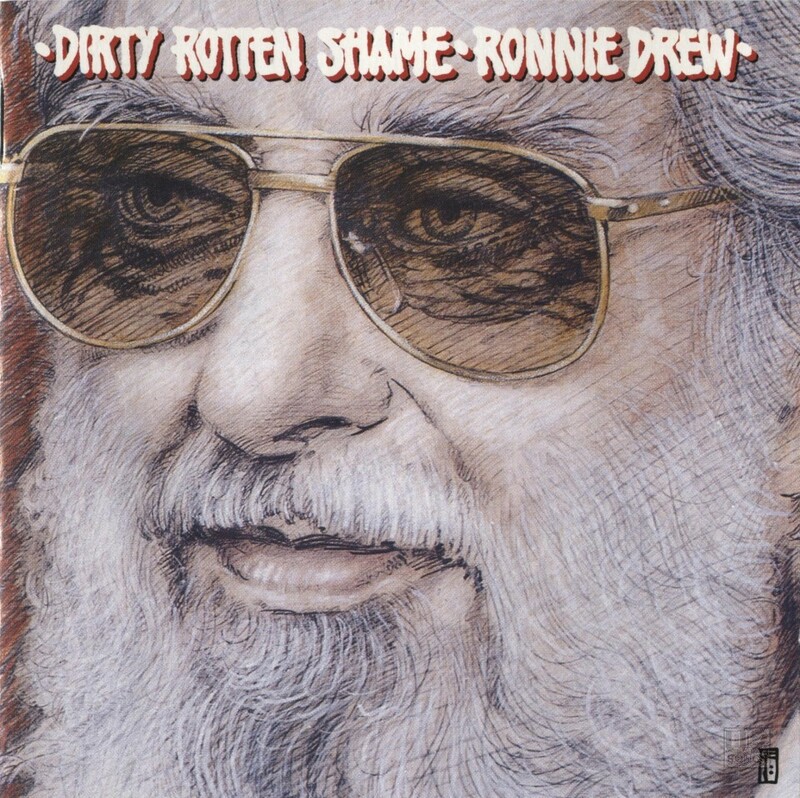 The album, “Dirty Rotten Shame” was a bit of a departure for Drew, and had a more contemporary feel than most of his recording work with the Dubliners. It was released in 1995 and contained some original songs, as well as covers of some rock songs. Bono and his friend Simon Carmody contributed the lyrics for the song “Drinkin’ In The Day” for Drew to sing on this album. Carmody grew up in Dublin with Bono, and had fronted the band “The Golden Horde” which had been signed to U2’s Mother Records in the early 80s. The song written by the two for Drew to sing is about an older gentleman who meets a young girl and asks her to keep him company while he is drinking during the day in Dublin. The song is recorded featuring backing vocals from Irish band, Aslan, as well as an introduction sung by Luke Slott. Carmody and Bono would also be instrumental in putting together the song “The Ballad of Ronnie Drew” in 2008. While out for dinner, the two hatched up the idea of writing a song for Ronnie Drew knowing Drew was fighting cancer. Rather than putting together another song for Ronnie to sing, the song rapidly became a tribute to Drew, and was recorded by many of the biggest names in Ireland’s music scene including Glen Hansard, Sinead O’Connor, Kila, Paddy Casey, Chris deBurgh and more. The song was released as a single in 2008, just months before Drew passed away. Drinkin’ in the Day: Written by Simon Carmody and Bono. Published by Mother Music / Realisation Music. Vocals / Guitar: Ronnie Drew. Saxophones / Bass Clarinet / Soprano Recorder: Keith Donald. Electric / Acoustic / Spanish Guitar: Anthony Drennan. Drums / Keyboards: Myles Drennan. Percussion: Noel Eccles. Uillean Pipes / Bouzouki / Low Whistle: Declan Masterson. Trumpet / Flugelhorn / Piccolo / Trumpet: Mick Nolan. Bass / Six String Bass / Acoustic Guitar: Loghan O’Neill. Backing Vocals: Aslan, Karn Hamill, Jenny Newman. Button Key Accordian: Martin O’Connor. Boy Soprano: Luke Slott. Recorded and mixed by Colin Boland at Windmill Lane Recording Studio, Dublin Ireland. Assistant Engineers: Ciaran Cahill, Conan Doyle. Produced by Keith Donald. Front cover illustration by Jim Fitzpatrick. Photography by Conor Horgan. Design & Artwork: Works Associates.